A new addition to the Quill collection, these trendy but easy to wear ear climbers are great for every day. Solid palladium is hypoallergenic and a platinum white color set with Australian sourced silvery white diamonds for brilliance. 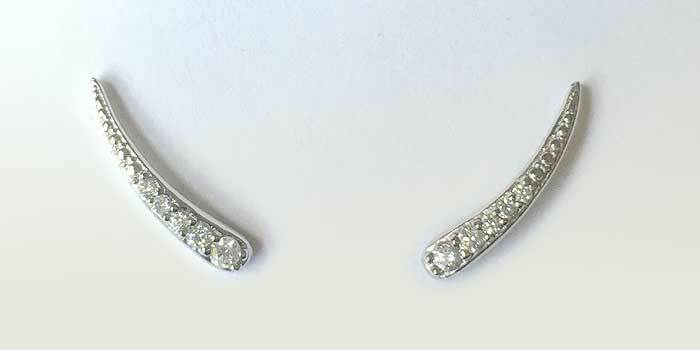 At 5/8 inch long these post earrings balance easily on the earlobe.